The Nissan Titan and its chief product specialist, Rich Miller, went to Miller's boyhood ranch home in Idaho for some real-world work experience to prove that the Titan is a truck for everyone. The next-generation Nissan Titan will come to market next year and one of the people behind the changes in this major update for the full-sized truck is Rich Miller, Nissan product specialist for the Titan. Miller grew up on a 10,000 acre ranch near Boise, Idaho where his family herds cattle, mends fences, hunts and fishes. He decided to go back home for a while and to bring the new Titan with him. A film crew and a few of his colleagues tagged along, and the trucks were put to work ranching, farming, and even at the rodeo. Miller first worked on the 1995 and 1997 Nissan Truck, the first offerings the company had and which became the Nissan Frontier, which he worked on in 1998. 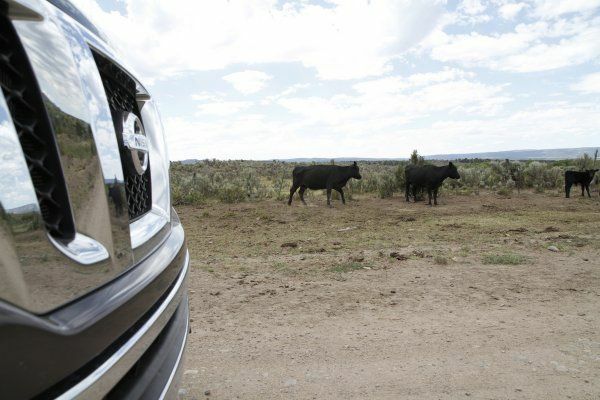 Miller took the Nissan product planners and marketing professionals to his family's ranch to show them why he had insisted on some of the changes that were made to the Nissan Titan. "It was interesting that today Mary O'Malley came to visit us. She lives on the Joyce Ranch. She actually drives a 1997 Nissan Hardbody that has 230,000 miles on it and said that every day it goes up and down that mountain. She brought it over to show it to us to say hey, you built a great truck," said Miller. It's that kind of respect and those kinds of truck stories that drive Miller and others like him to make the best working machines they can. See the video below. Some of us in the Rocky Mountain Region will recognize the narrator for this video as Steve Parrett, Nissan's press representative here in the West.